In 2017-18 we provided funds to support Mike Spivey, as he trained in snowboarding for the Paralympics held in South Korea in February. 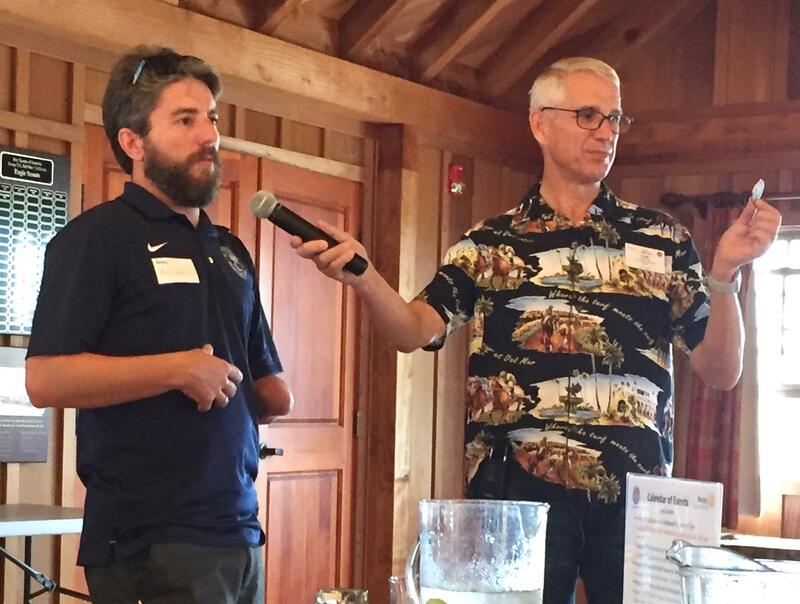 Mike joined us for lunch on July 12, 2018 and expressed his thanks for our donations and to let us know that he’s set his sights on being a member of the USA Paralympics team at the 2022 Beijing Winter Olympics. He was joined by Bob Bishop, Surf Minister at The Torrey Pines Church Surf Ministry where Mike works with wounded warriors who are part of the Ministry community.